Product categories of Ham,Meat,Sausages Automatic Vacuum Packing Machine, we are specialized manufacturers from China, Salted Fish Vacuum Packing Machine, Ham Automatic Vacuum Packing Machine suppliers/factory, wholesale high-quality products of Meat Automatic Vacuum Packing Machine R & D and manufacturing, we have the perfect after-sales service and technical support. Look forward to your cooperation! 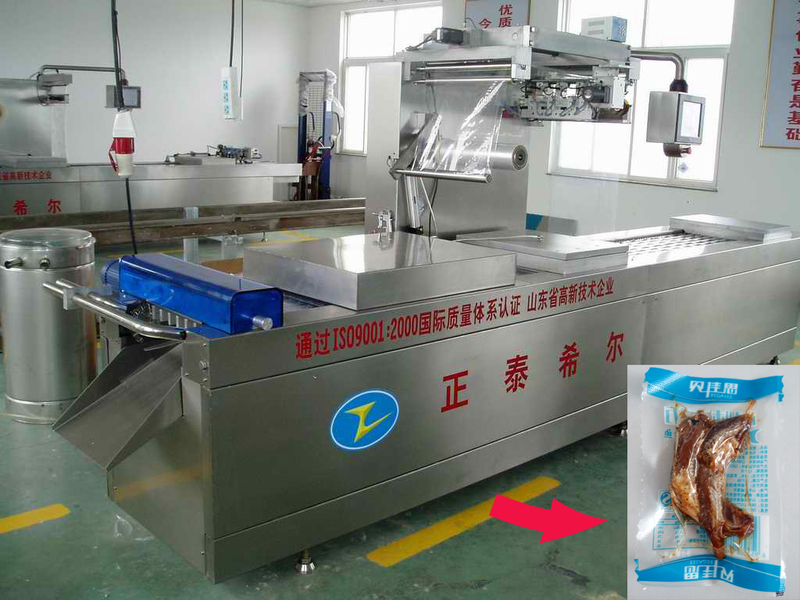 Ham,Meat,Sausages Automatic Vacuum Packing Machine is Salted Fish and Date Vacuum Packing Machine. It is Millet Rice Corn Vacuum Packing Machine. It is also Specied Meat and Sorghum Vacuum Packing Machine. The vacuum sealer is mainly applicable to the vacuum package of solid, food, meat, grain, foodstuff, medicines, typical products, aquatic products, chemical material and so on. It can achieve vacuum sealing, printing, cooling and exhaust at a time, prevent the products from oxidization and mildew, as well as corrosion and moisture, keeping the quality and freshness of the product over a prolonged storage time. It has high capacity and easy to operate, an essential equipment in food processing line and other factory. It is security guarding vacuum packing machine for medicine, hardware components, apparel, textiles, medical products, precious metal, electric appliance parts, precise instruments, electronic products.